The Sean Price legacy continues with the highly anticipated posthumous release of his 4th studio album “Imperius Rex”. Standard jacket vinyl featuring the front & back cover art. 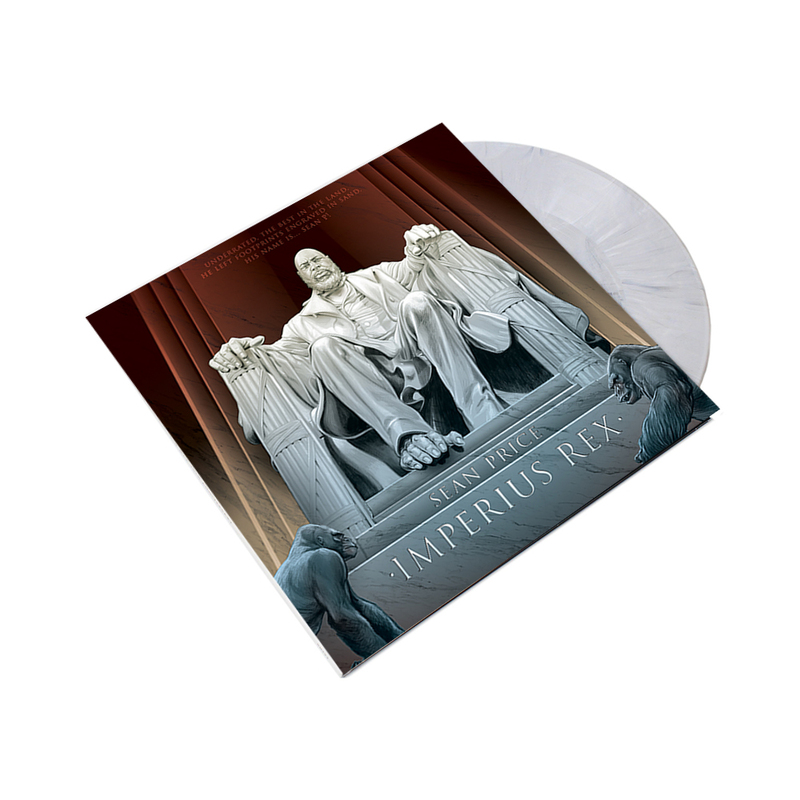 The actual vinyl has marble coloring resembling the texture of the Sean Price monument depicted in the cover art. The project features all new music with features from DOOM, Prodigy, Styles P, Smif N Wessun, Rock, Method Man, Raekwon, Inspectah Deck, Junior Reid, Buckshot, Ruste Juxx, Bernadette Price & more. Production from Alchemist, Harry Fraud, Nottz, amongst others. Your purchase will also come with a digital download of the album.